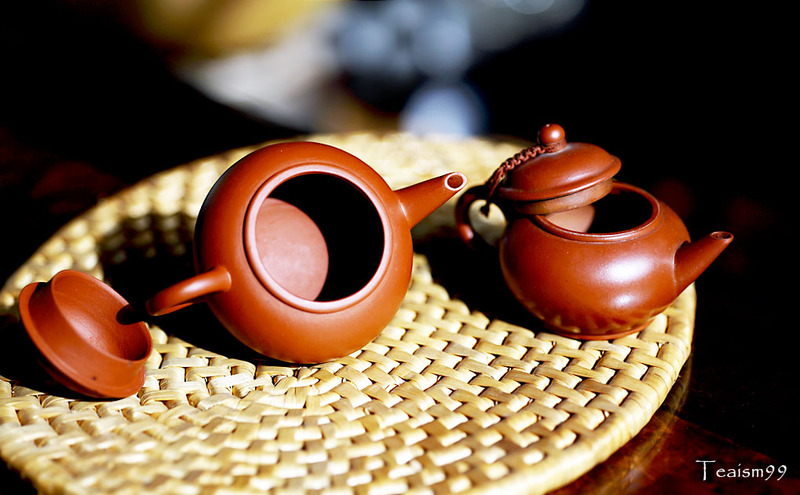 What is The One ultimate and the most important rule of using Yixing teapot? ~ At the end of the tea session, immediately remove all the tea leaves and flush with boiling water. ~ Sun the pot. The UV will sterilized the pot further. Always remember : Hygiene, hygiene, hygiene all the time. Never ever compromise. Tray pots or clay pots? 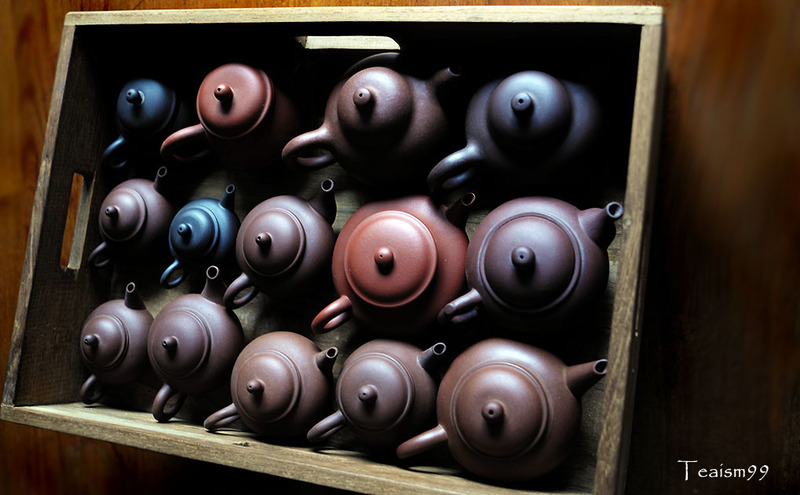 ……..it is a tray of old Yixing clay teapots. 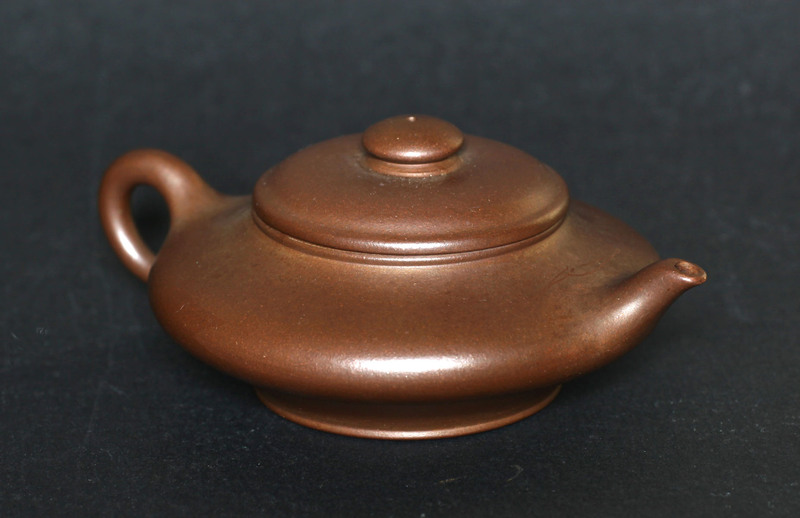 I have a few trays of these teapots which are picked at random to brew tea. Just like the little birds in the nest, sticking out their heads with gaping mouth waiting to be fed. 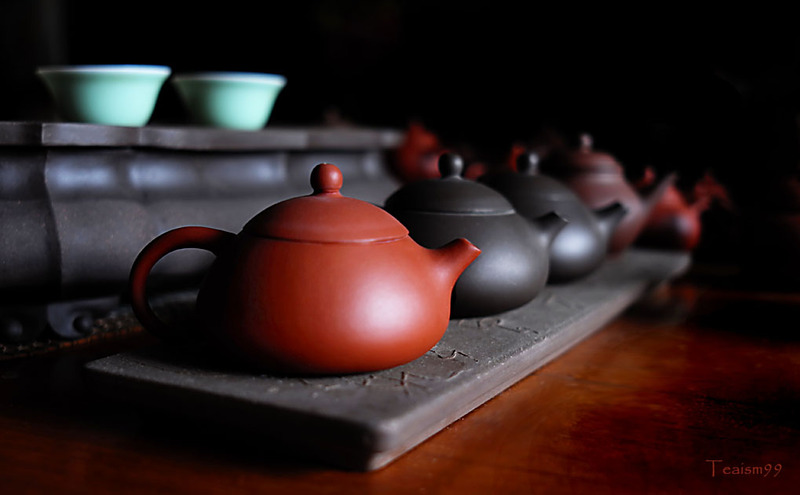 A row of Yixing teapots marching in to a formal tea ceremony.